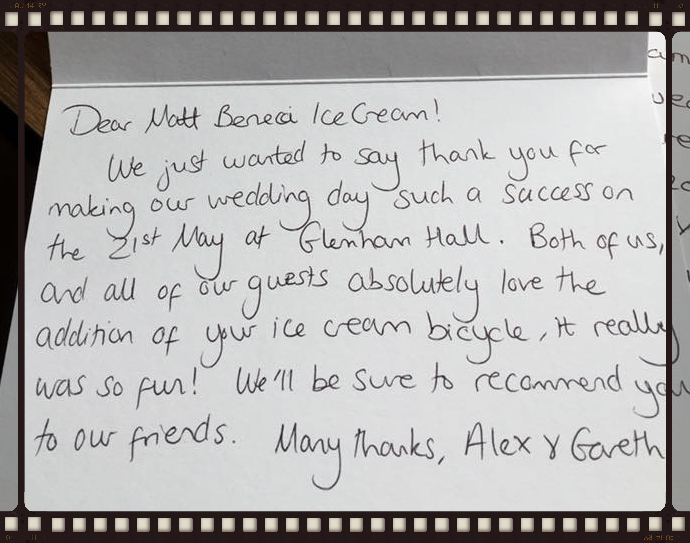 Matt Benecci Ice Cream Bikes run silently and cleanly from a standard mains power socket so can be sited either indoors or outdoors at your wedding. 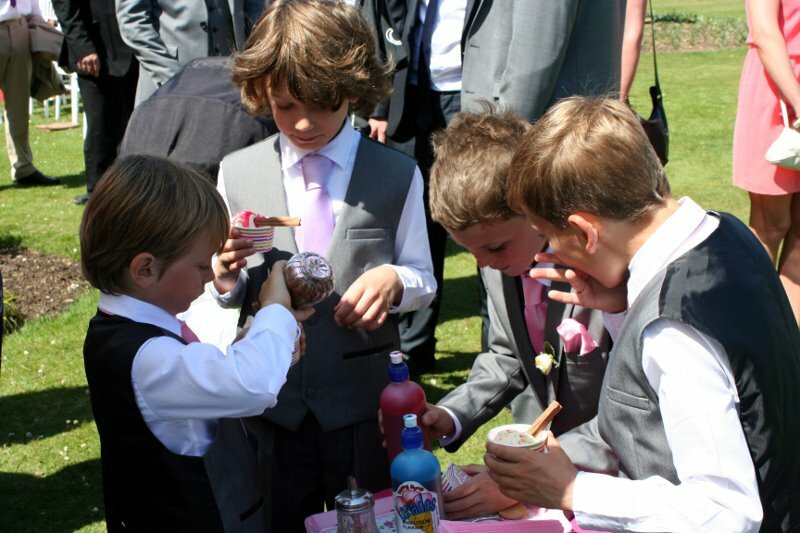 We serve your guests the highest quality Ice Cream & Sorbets supplied in cones or tubs. 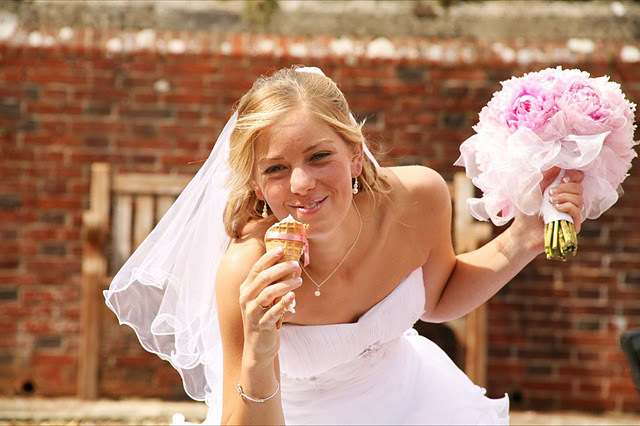 We can also source Kulfi icecream for clients that require it. 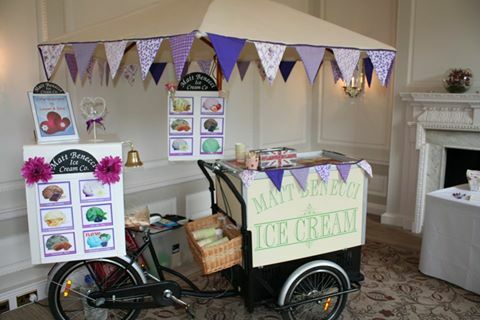 To make your ice cream cart hire that extra bit special you can add sprinkles and sauces from our treats table. 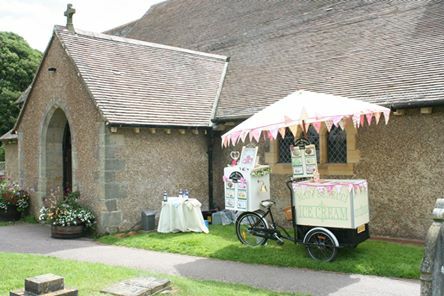 Our ice cream carts love to have their picture taken so ask your photographer to make sure that he captures some special pictures of you alongside the bike. 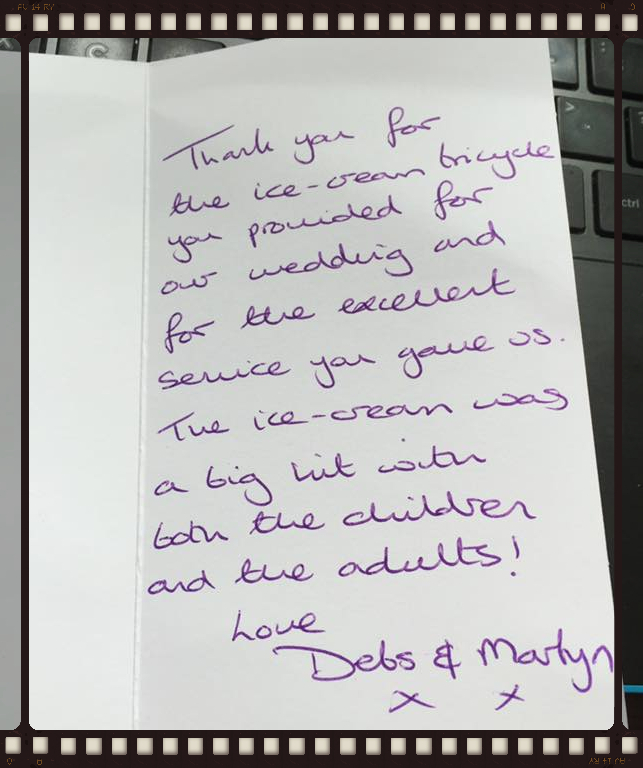 We pride ourselves on our quality of service and attention to detail. 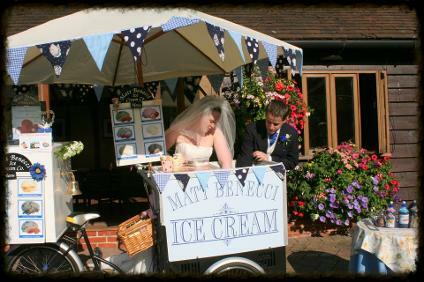 We are constantly adding new decorations to the bikes to take your breath away when you see them on your special day. 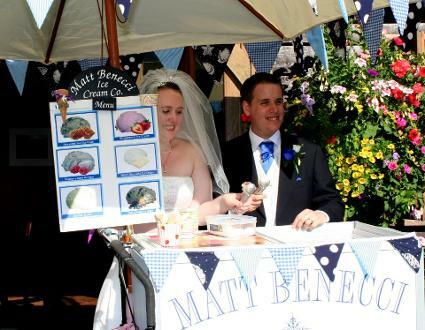 A Matt Benecci ice cream bike makes a fantastic wedding gift for your loved one. 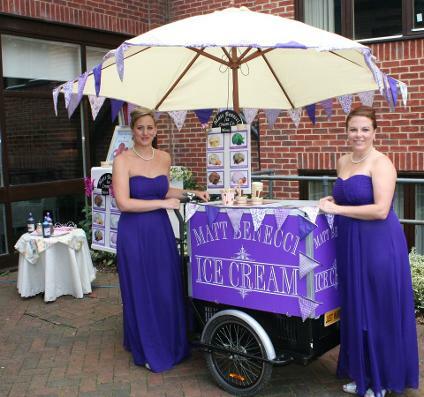 Everybody LOVES icecream and our delightful icecream tricycles will certainly provide that "WOW" factor at your wedding and will be remembered long after the celebrations have finished. 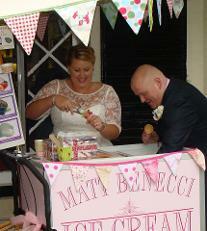 Our Icecream cart hire for weddings will really leave a lasting impression with your guests for years to come. 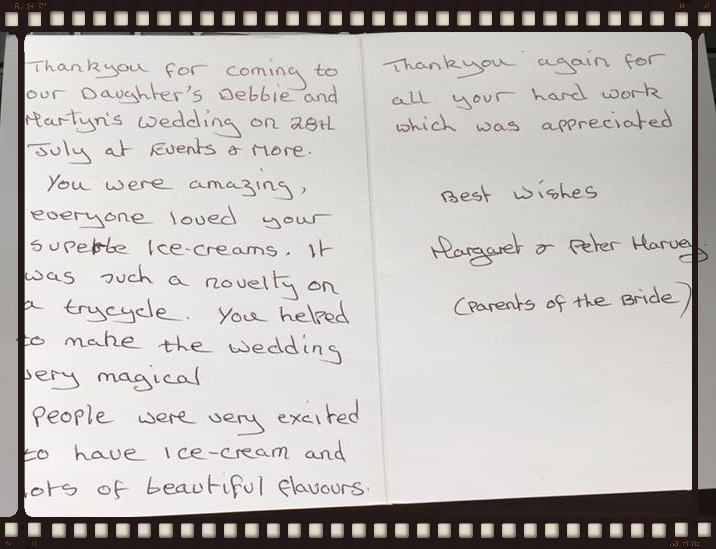 To make an enquiry please fill in contact form below and include your date, location and approx guest numbers.